YEAP! 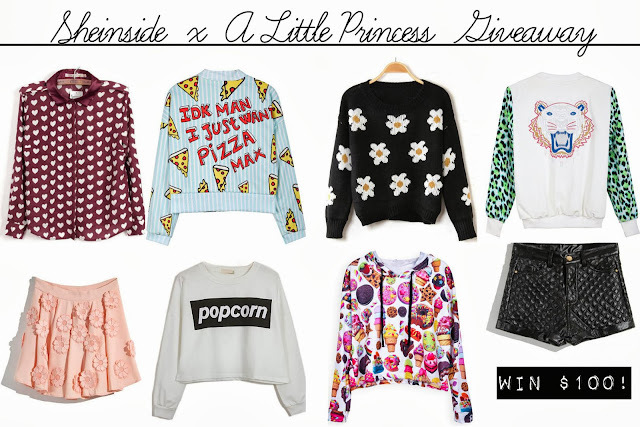 Another Giveaway featuring Sheinside is here! And the prize is $100 gift card for One Winner!! You can shop so many item with this gift card and you may choose any items you want! I've done everything except the third extra point. :)) Thanks for doing this lovely giveaway!! Thanks for this giveaway, i love it! OMG OMG OMG THIS IS AWESOME!!!!! Thanks!! this giveaway is great!! crossed fingers!! i've also share it in my blog! OMG! I WANT THIS! REALLY! Thank you for offering such a wonderful giveaway.